While a license is not required to become a home inspector in California, the home inspection profession is regulated by the state. Follow the steps below to become a legally compliant California home inspector. Not perform repairs to a structure inspected by the home inspector (or company) in the past 12 months. 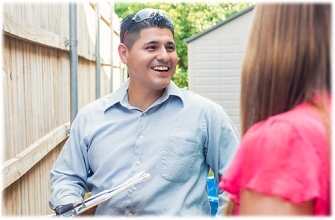 PHII's training complies with all California requirements for home inspectors. The home inspector profession is regulated in California under Chapter 9.3 [195-7199]. For that reason it is important to understand the California laws pertaining to home inspection before you start inspecting. Another change is an amendment to the California Swimming Pool Safety Act which took effect in 2018, which makes California the first state to require home inspectors to report on the safety of Pools and Spas. Our free Home Inspection Report Software has this California requirement incorporated into it, and information is included in the course. PHII also offers a Pool and Spa Inspection Course that you can add-on for just $99, which is essential for every California home inspector. Realtors, lenders, home buyers, and home owners want to make sure a home inspector has been properly trained and is compliant with all state requirements. PHII will give you a nationally recognized home inspector certification and the credentials you need to become a successful home inspector in California. Becoming certified now may also help you when new licensing laws or stricter regulations take effect. any visible or otherwise demonstrable mold growth, excluding the presence of mold that is caused by inappropriate housekeeping practices or improper use of natural or mechanical ventilation. 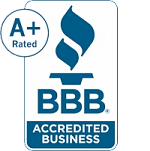 The California Real Estate Inspection Association is the symbol of real estate inspection professionalism in the State of California. PHII is an affiliate of CREIA and offers a course that is aligned with CREIA's Standards of Practice. After passing PHII's home inspector exam and meeting any other state requirements, you will be well-qualified to perform residential home inspections in California. How long does your home inspection course for California take? PHII's California home inspection course can be completed in 1-2 weeks based on your past level of experience. However, you can take as much time as needed, and there are no limits on re-taking exams. The total course time for training in California is broken up into hours for course instruction, field assignments, report writing and testing. PHII's California course allows you to take your time or push yourself through quickly. How much does the California home inspection training cost? Professional Home Inspection Institute will teach you how to become a home inspector in California for the lowest average tuition rate in the industry. The course comes complete with all required instructional materials including 100% online access, workbook, back-up CDs, DVDs, and other materials you need to become a home inspector in California . You can view the current prices by clicking the link on this page or by calling 1-800-983-6322. Home inspectors in California should consider getting Errors and Omissions (E&O) insurance, which is a professional liability policy covering the policyholder for negligent acts and omissions that occur during an inspection. A good Errors and Omissions liability policy can help limit your out-of-pocket expenses if you are named in a lawsuit in California should a problem occur with a home inspection. Our coursework is approved for California home inspector errors and omissions insurance by major insurance underwriters. PHII gives California residents interactive training, experienced support, a lot of value and the most affordable tuition in the industry. Plus we offer a satisfaction guarantee. Over the years we have successfully trained thousands of home inspectors throughout the U.S. and Canada, including many home inspectors in California. We have been there to support our students from California during and after the training. We have up-to-date California home inspection course material, and we provide a turn-key system for setting up your own home inspection business in California. As a gold-level NAAHI-accredited training provder, PHII can offer all California home inspector graduates a free 1-year membership in the North American Association of Home Inspectors (NAAHI), a national non-profit professional home inspector association.